Scroll down for a free printable Map Of Indiana. 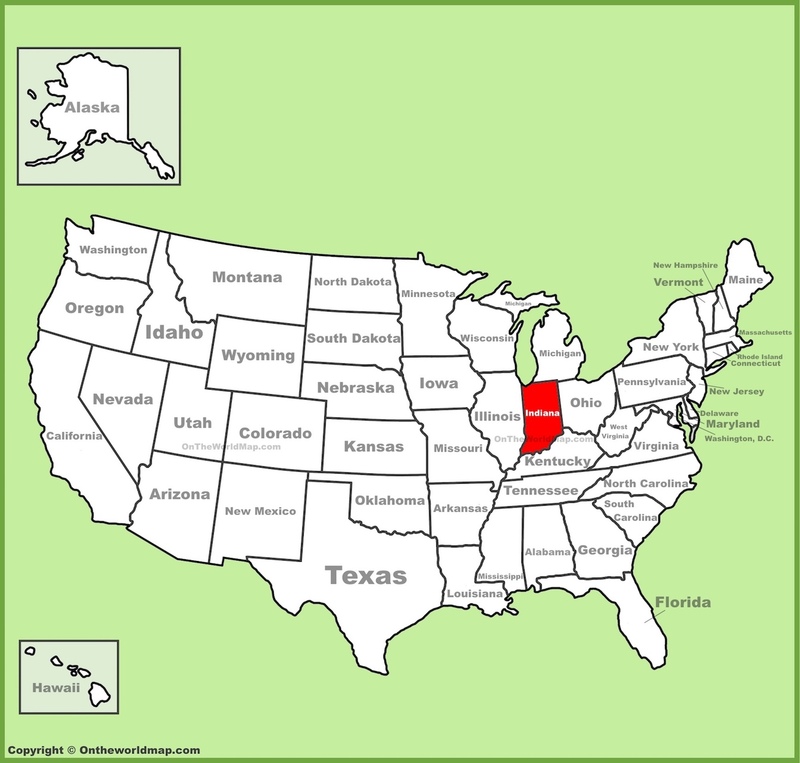 The above US map shows the location of the state of Indiana in relation to other US states. Indiana was the 19th state admitted to the Union, on December 11th of 1816. 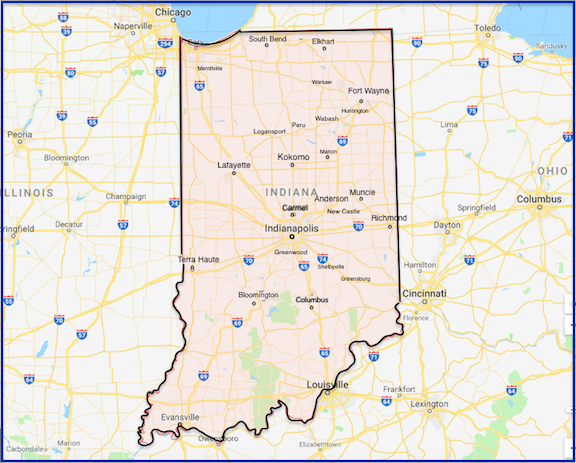 This page features fascinating facts about the state of Indiana, as well as a free printable map. Indiana residents are known as Hoosiers. Explorers Lewis and Clark began their journey in Fort Vincennes, Indiana. In southern Indiana, there is a Christmas-themed town called Santa Claus. The world's first theme park was built here in 1946. The first professional baseball game took place in Fort Wayne, Indiana on May 4th, 1871. Indiana has never had a major league baseball team. Gossiping is prohibited in Indiana. Indiana produces more popcorn than any other US state. Indiana is considered the Covered Bridge Capital of the World. There are 32 covered bridges in Parke County alone. The state of Indiana was very seriously involved in helping slaves escape to freedom during the Civil War. Five US Vice Presidents were born and raised in Indiana. Namely, Schuyler Colfax, Thomas Hendrix, Charles Fairbanks, Thomas Marshall, and Dan Quayle. Above: A free printable map of Indiana. Hit this link for detailed reports about Community Colleges in Indiana.